A monthly Welsh-language religious periodical serving the churches and Sunday schools of the Cardiganshire Calvinist Methodists. Its main contents, according to its subtitle were articles on education, literature, morality and religion and it was jointly edited by Griffith Davies and Thomas Edwards. 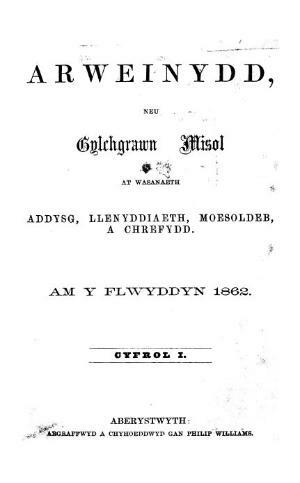 Associated titles: Yr Arweinydd (1876).